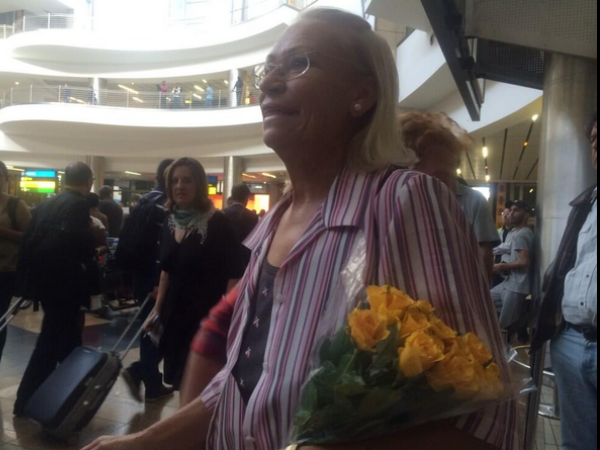 Beetge's family waited for her to arrive at OR Tambo International Airport from Brazil. However, Beetge was reportedly whisked away from the media by officials after she landed. Her aunt Margie Olsen said she was disappointed that she was not able to see her as she arrived. Beetge was caught with 10,2kg of cocaine in her luggage at Sao Paulo's Guarulhos International Airport in 2008. Her mother Marie Swanepoel died in an East London hospital in October after a short illness. Beetge was recruited by Sheryl Cwele to smuggle cocaine from South America. Cwele, the ex-wife of State Security Minister Siyabonga Cwele, and her co-accused Frank Nabolisa were found guilty of drug dealing by the Pietermaritzburg High Court in May 2011. The two tried to have their convictions overturned by the Supreme Court of Appeal in 2012, but instead the court increased their sentences from 12 to 20 years.